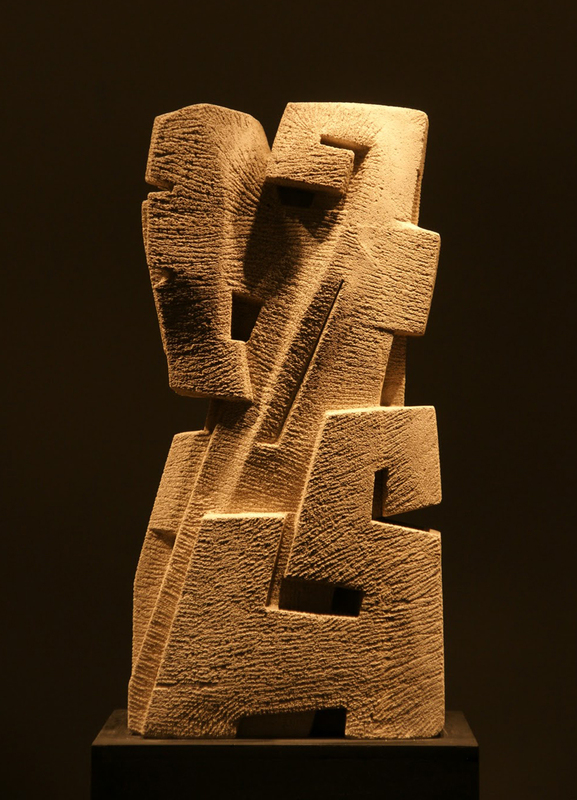 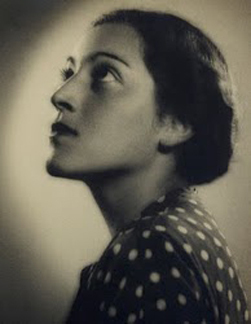 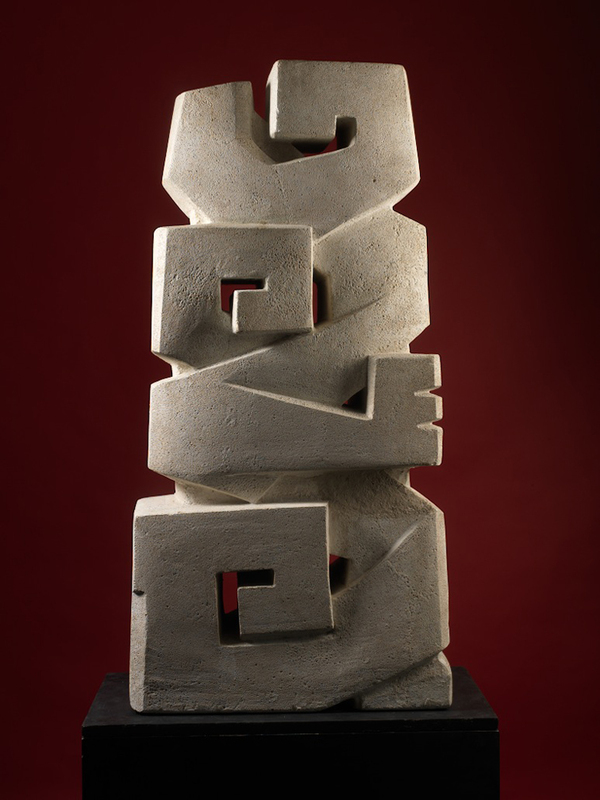 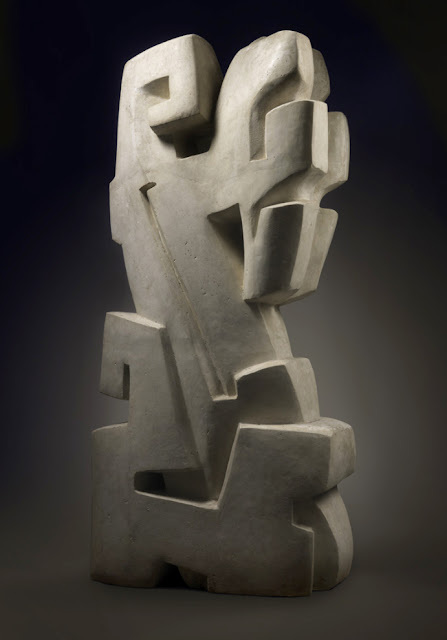 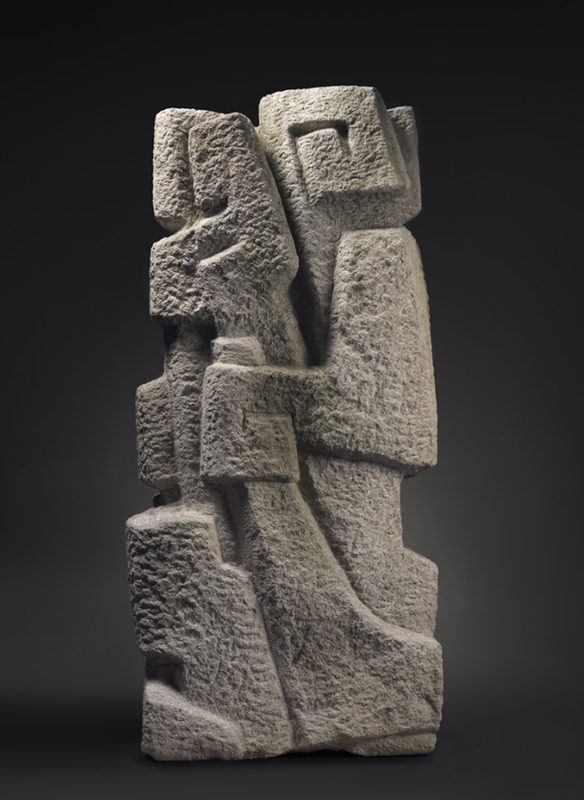 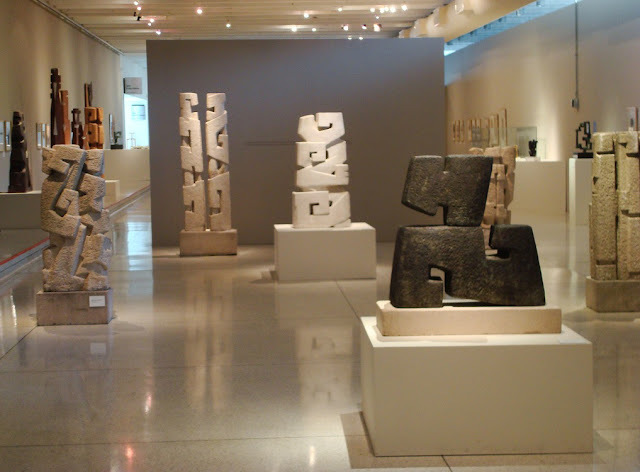 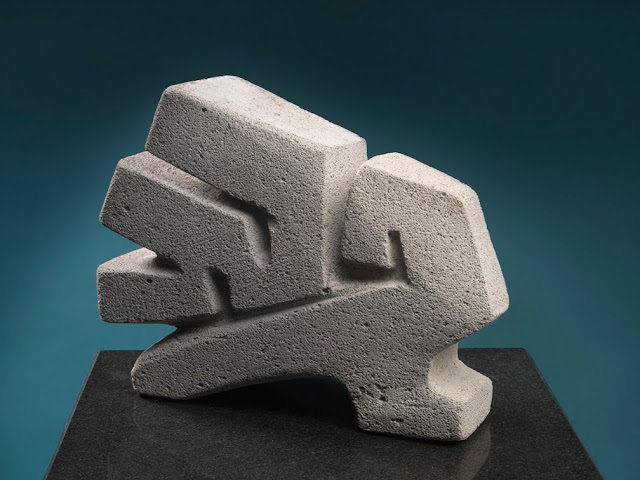 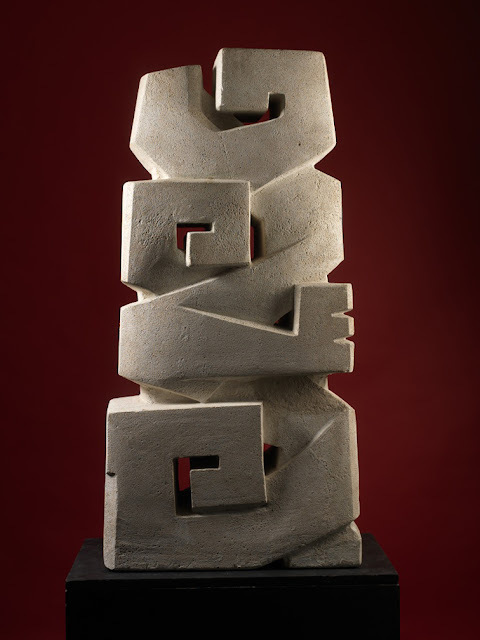 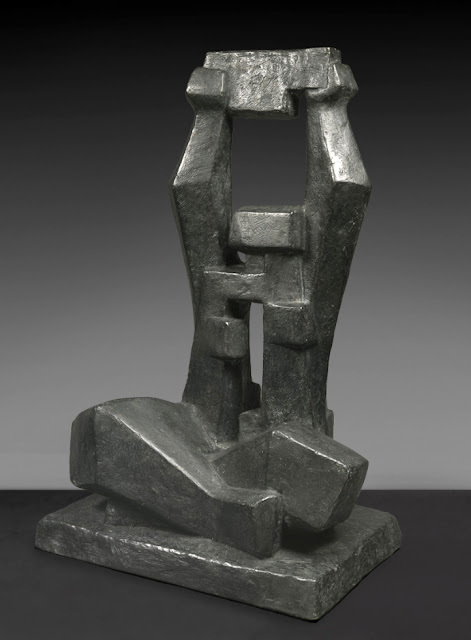 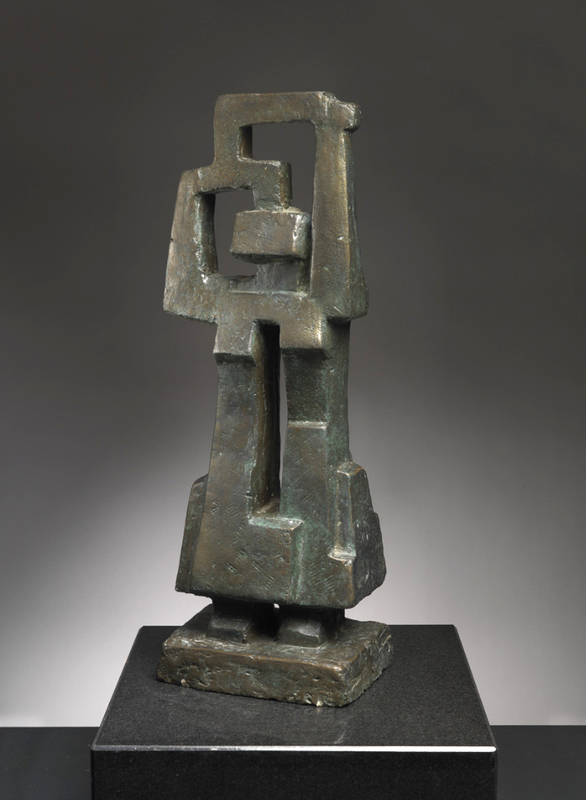 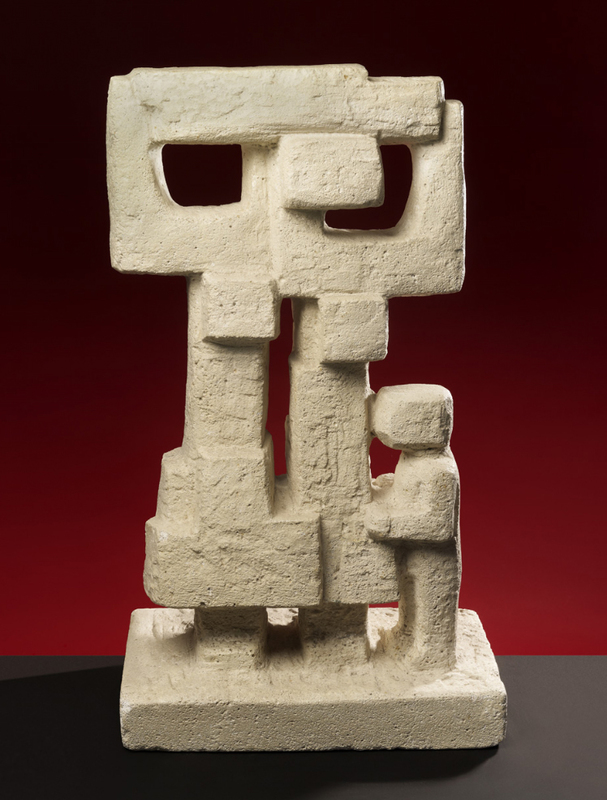 Influences of Pre-Columbian Art can be seen in the work of Hungarian-Argentinian sculptor Magda Frank (1914-2010). 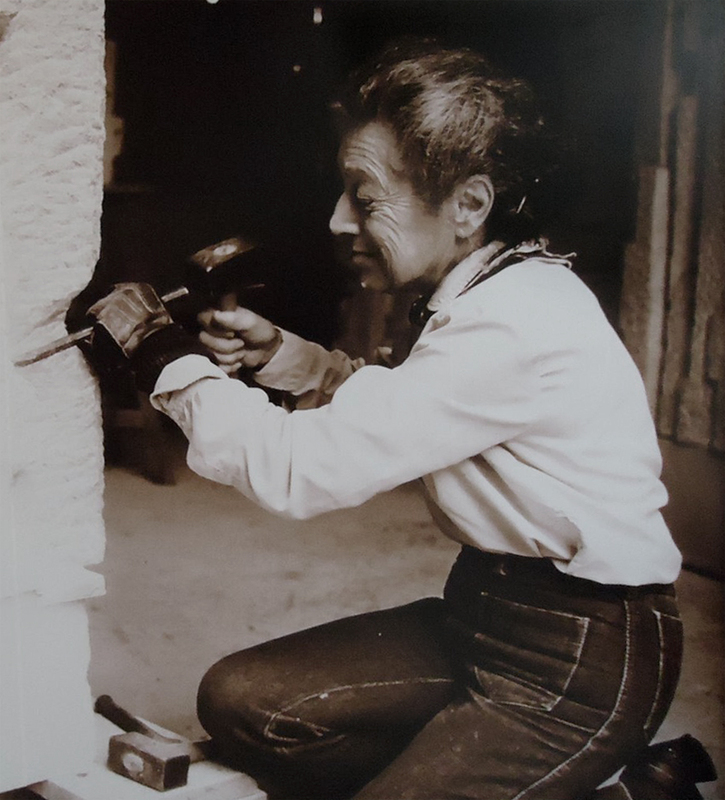 During her career she sculpted both figurative and abstract geometric pieces using various mediums including clay, wood, marble and stone. 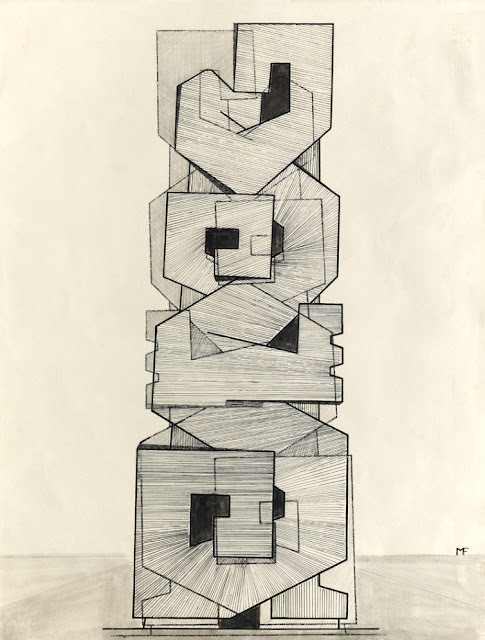 This appears to be a sketch of Geometrical Progression, see sculpture above. 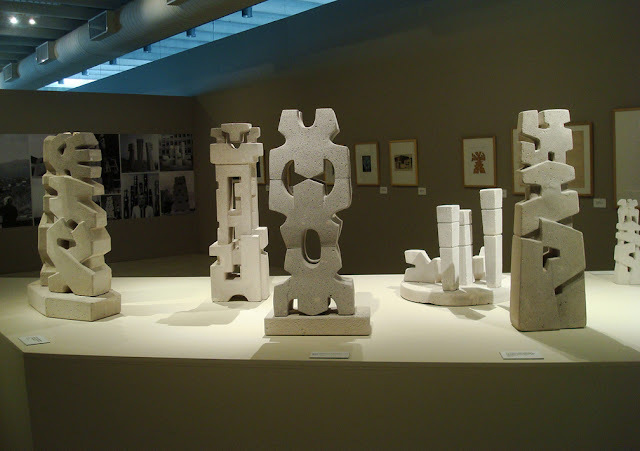 Go to- Arsomnibus blog post on the Magna Frank Exhibit (translated). Gustavo Lowry photos. 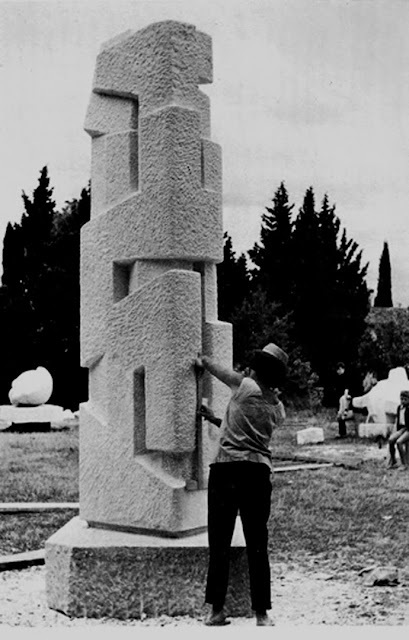 Thanks Jan. Yup, I had a fantastic vacation.